We have been wanting to reduce our work in the yard, and enjoy spending more time just relaxing in the garden. One of our manual tasks in the garden is raking - we can do this job much easily using a leaf blower. When we looked at different leaf blowers, we hesitated to get a gas blower because gas equipment needs a lot of maintenance, and takes up time getting it started. We have been putting the Dewalt DCBL790M1 40V MAX Lithium Ion XR Brushless Handheld Blower to good use. Since we have a lot of Dewalt power tools such as drills, and saws we knew the quality will be just as great. The box comes with the blower assembly, the 40V battery and a standard charger. The 40V battery is much bigger and heavier than the 20V ones that we use for the drills. With the included charger it takes about an hour and a half to charge to full battery. Dewalt is also supposed to come out with a 30 minute fast charger just like they have for the 20V line of tools. The blower itself is designed ergonomically for a right handed person. The battery compartment is housed on the left hand side of the blower with the air intake assembly on the right. We found that the blower moves leaf debris with ease. It did a great job moving leaves and grass clippings and we were able to clean out debris from the corners of the yard that we wouldn't normally rake. 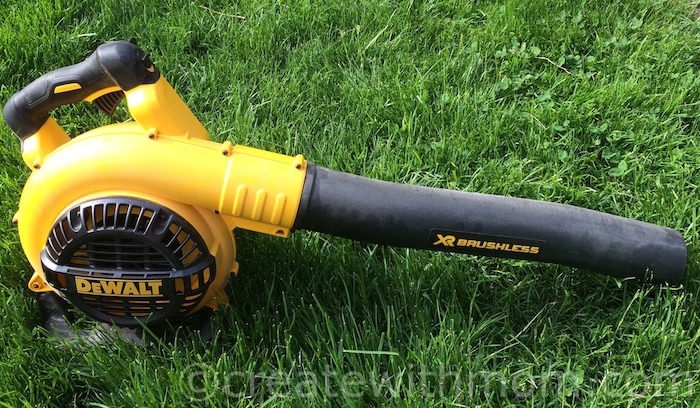 We find this blower to be efficient and a real time saver. The Dewalt DCBL790M1 did a great job cleaning out our yard with ease in a minimal amount of time it takes to do the job with a rake. It has a lot of power and there is a variable trigger to control the air volume and also a lock, so that we do not have to keep pressing the trigger. We found the mid setting to be perfect for clearing dry leaves and grass clippings. We found that initially, it will need some getting used to holding the blower in a way that is comfortable to us. With the handle being on top, we can switch to our left but the suction from the intake might pull our clothing. We found for long uses it is comfortable when we hold it in front of our body. The blower is designed in such a way that the weight is spread evenly. The blower has a nice stand in the bottom, so it can be placed on the ground firmly without falling to its side. The run time for this blower varies with the application and the use of the throttle. With the low and medium setting that we used, it worked continuously for about 40 minutes. 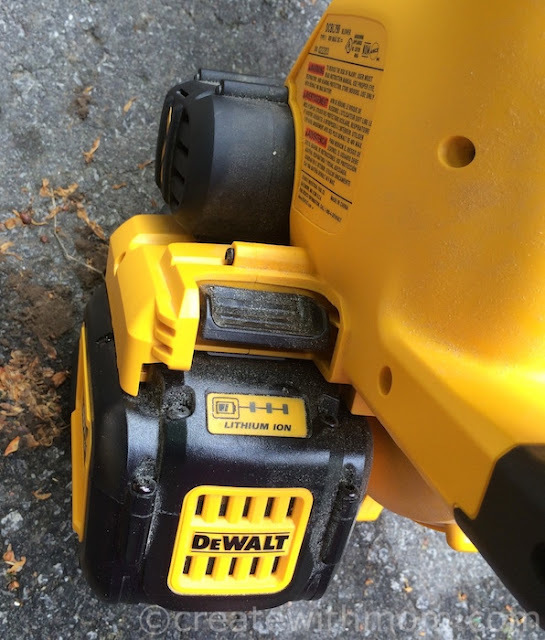 We also used the Dewalt DCBL790M1 blower to clean out dust and saw dust from our garage. It does a great job of blowing out the dust from the garage when it is at its highest setting, and sweeping the saw dust to a corner at its lowest setting. 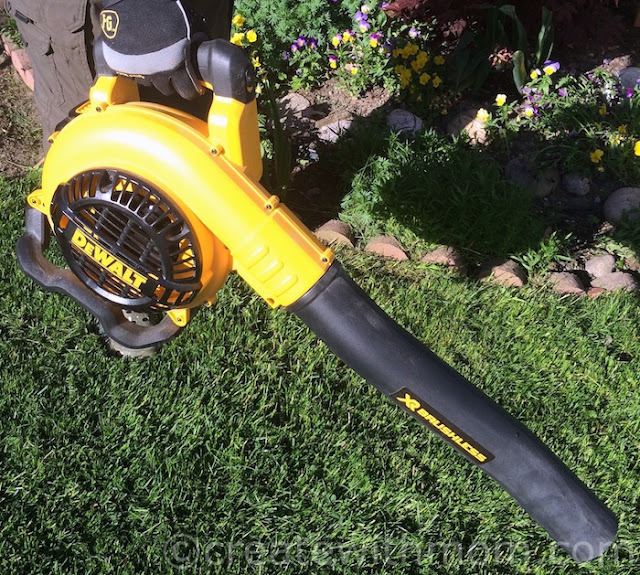 This blower is also great to clean out sand and other dirt from driveways and sidewalks. When in use, the blower performs very smoothly without any vibration. The sound is bearable when the blower is running, but its always best to wear eye and ear protection when handling power tools. The brushless motor in this blower means it will require less maintenance and it will have a longer life compared to other blowers. 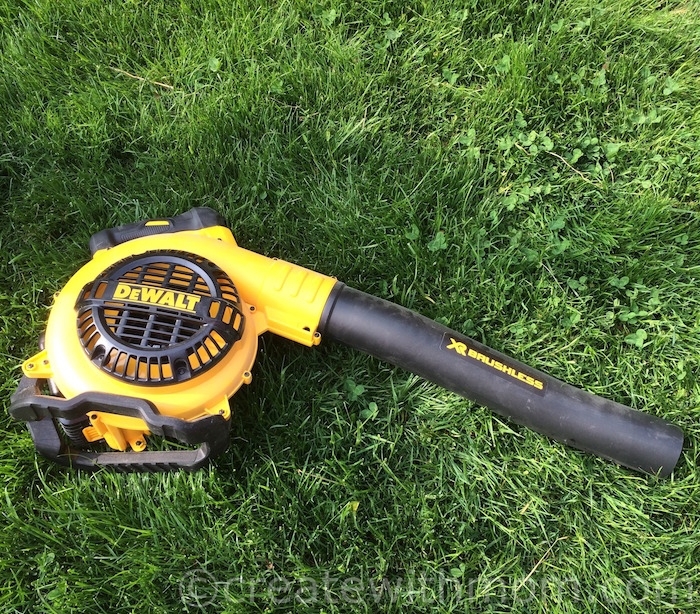 We find this Dewalt DCBL790M1 blower to be an useful tool for yard maintenance. We got one of these for my dad after my mom passed away! He loves it, but now he's moving out of his house of 54 years into an apartment so we won't be needing it anymore unfortunately! Would love to own one of these. It would make yard clean up so much easier ,not to mention fun.. Sounds extremely handy. Much easier than using a rake. and A LOT of people use this in the winter months to blow snow off cars etc!! We are renting and someone else takes cre of the lawn. this looks like it would come in handy to have.